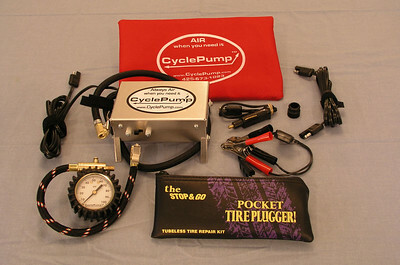 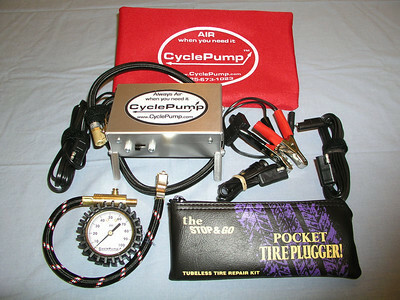 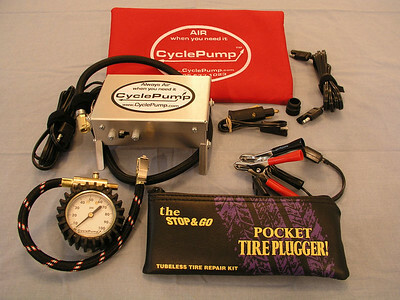 Contains the new ADVENTURE model CyclePump, along with the EZAir Tire Gauge, and the Stop&Go Pocket Plugger. 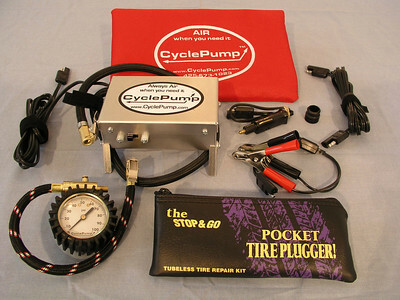 Save $7 when you purchase the complete kit. 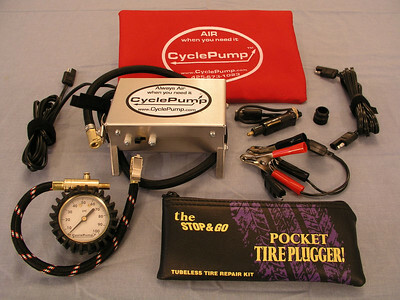 Normally $157 when purchased separately, the complete kit is $150. 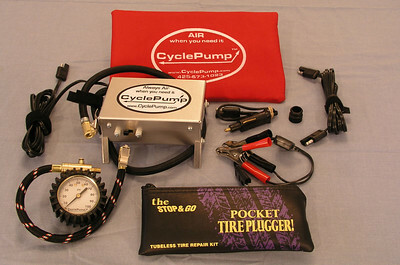 CyclePump ADVENTURE Combo package - comes with the new ADVENTURE model CyclePump, the EZAir tire gauge, and the Stop&Go pocket plugger.